Laser cutting is to cut different materials especially steel metals with the help of laser beam. 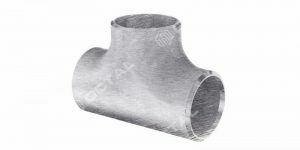 It is majorly used for industrial manufacturing applications, profiling metal connections for different equipment and structural parts. But now a day’s it also has been used for different purposes, such as wall art decoration, urban construction, auto-mobile manufacturing etc. Why Laser cutting is getting popular in steel and metal cutting processes? Most is because of the reasons below. 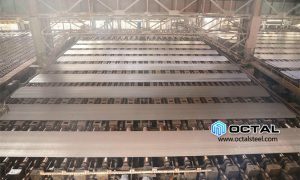 Octal provide metal laser cutting services, which means we can cut steel plate, metal sheet as customized to different panels, screens, wall art etc. And before you are ordering this service, there are several things you need to know about laser cut metal technology. What kind of material could be processed by laser cutting technology? Yes, mostly laser cutting is used to cut mild steel (carbon and alloy steel) aluminum, stainless steel plates, metal sheets and other substances. We are listing steel material standard and grades for laser cutting so you can to decide what materials you prefer. Laser cutting method is best suited for cutting mild steel plate which has a thickness up to 1.25 inch (36 mm). After one inch, the cutting process will become difficulty and it need to be perfectly set which requires to configure each thing correctly. 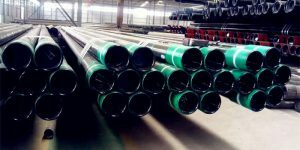 Like installing the material, checking the nozzle condition, beam quality, and gas purity. We know how to use laser technology to laser cut metal. 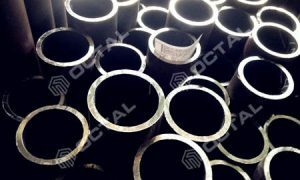 • Steel thickness under 1.0mm, tolerances is +/- 0.12 mm. • From 1.0 mm to 3.0 mm, tolerances allowed +/- 0.15 mm. • From 3.0 mm to 6.0 mm, +/- 0.20 mm. • 6.0 mm to 15.0 mm, laser cutting tolerances at +/- 0.25 mm. • Up 15.0 mm to 20.0 mm, laser cut tolerances at +/- 0.75 mm. 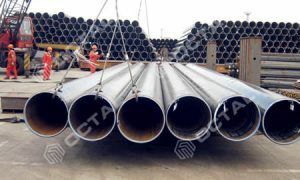 It’s not a fast process, especially on the mild steel, it looks like a burning process in which the extreme heat of the beam is used rather than the preheat flame. In this case, the speed is mainly maintained by keeping a check on the reaction of iron and oxygen. The precision of the laser cut metal is excellent. It creates a very tiny kerf width which helps in cutting even the precise contours as well as the small holes. With laser cutting, the edge quality is outstanding, with perfectly square edges and no or very little trash. And more other laser cut metal products or profiles, just name it or providing drawings, we will customize it. Further more, we provide various type of laser cut metal parts to almost all the industries including, rail, wind, truck body, power generation, material handling along with others. We also use the same technology for process several products internally for sub-assemblies as well as for welded fabrications. The method uses programmed cutting to cut stationary metal parts with a 2-axis movement system. The lasers used in this process are highly advanced to provide high tolerance, accuracy, and speed to cut metal, stainless steel, metal alloys, aluminum and carbon steel. With the help of flat laser cutting, we can make smaller kerf, provide better perpendicularity and use limited heat-affected areas to increase the accuracy on the challenging profiles and to fulfill specific requirements of the clients such as hole and flatness tolerances. Earlier it was used to laser cut sheet metal, or laser cut metal panels into flat and formed sheet and plate components. But with the advanced laser technology, we offer laser cut metal parts for better fit and requires less assembly time for weldments and sub-assemblies. 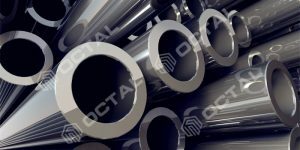 We are into providing bulk amount of processed tubes; therefore we use laser tube cutting technique, which gives us added value. 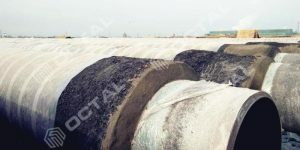 Its mainly an automated process wherein 20 to 30 foot long raw stock is being processed by the equipment. It offers reduced costs on the machines, faster production, and better assembly. The cutting process is mainly used to create precise end cuts as well as hole profiles which one gets from a 2D laser cutting. We use laser tube cutting technology to provide better engineering assistance to our clients. It can be used to manufacture a new product or even to revise the previous one. 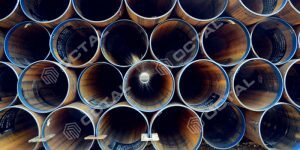 We use this technology to supply laser cut tubes to various regions as well as industries. It allows laser cutting of metal spinning, stamped components and formed parts. Along with this multi-axis laser cutting is used for laser welding on unique part designs. Multi-axis laser cutting can be used for cutting up to 5-axis abilities; we can provide the best engineering services with the flexibility to design as per their customer’s need and to meet the production requirements. Our processes, people, and equipment provide all the due diligence so that when you use the metal parts for in your production line, they work properly and efficiently. So we are always providing high quality of laser cut sheet metal, laser cut steel, laser cut steel plate, laser cut metal panels, wall art, screens etc. 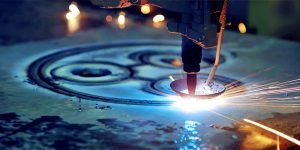 Why use laser cutting for steel processing? With time and advancement in the technology, laser cutting has become quite popular for profiling sheet metals because of its high precision, processing speeds, and impressive cut quality. 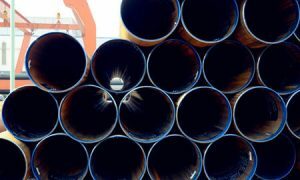 The technology can quickly cut through the steel along with other materials with utmost perfection which was not possible with the traditional methods of profiling technology. 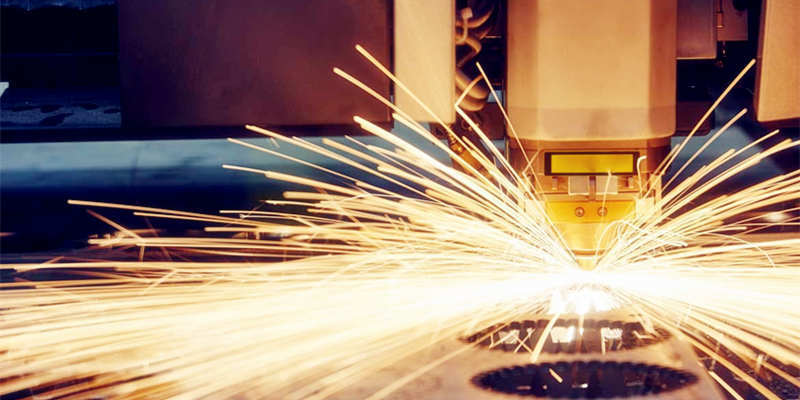 We provide laser cutting services to various industries across the region. We use latest laser profiling technologies to offer our customers the best services with the full automated techniques. Laser cutting can be defined as a manufacturing process which is used to eliminate the need for any other machining process to perform various engineering jobs which help you in saving a lot of your manufacturing costs. It has several benefits if you compare it with plasma cutting or any other cutting technique. Since its more precise and use less energy to cut metals, it is widely used by the clients worldwide. The latest fiber laser machines have even made the cutting process more accessible to the manufacturers. As said earlier, the precision levels along with the edge quality obtained with laser cutting machines are unparalleled and far better than the traditional cutting methods. This is because the laser beam doesn’t have any wear issues during the laser cutting process. It even enables us to cut the complex or more complicates shapes without needing any additional tools at the same or even faster speed as compared to any other cutting methods. 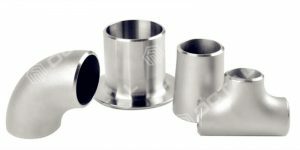 Using laser cutting technology makes sure that the workpiece contamination is being reduced to a greater extent and have various other advantages over the traditional metal cutting techniques. Laser cutting gives us the power to cut small holes even with the complex detailing without compromising the edge quality in the metal plate, sheet, box or tube. 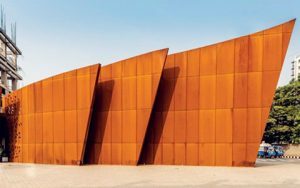 With time, the demand for metal sheets, as well as other fabricated metals have evolved. Now people are looking for more engraved products or designs. Performing such tasks with the traditional methods is not easy. But with the use of laser cutting techniques, we can provide you the same piece of fabricated metal which you are looking for. Using the laser cutting process, we offer various material laser cutting, but mostly is carbon, alloy, stainless and aluminum steel as listed below. We use the best laser cutting techniques which can easily handle a full range of carbon and mild steels having the thickness up to 20 mm with the sheet size of 4m x 2m. Our laser cutting machines run all day long and can handle any requirement. 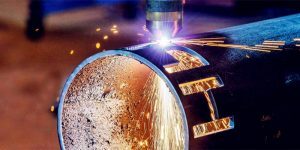 A few decades ago, people used to have flame which they use to cut metals but with the invention of lasers everything becomes easier, and it opened several new opportunities when it came to cutting mild or carbon steels. Since then, most customers prefer laser cut sheet metal because of its excellent cut edge quality which is quite economical than any other profiling method. All hot rolled and cold rolled steel plate, sheet, coils are available for laser cutting. Stainless steel is the most popular and versatile metal available on the market. 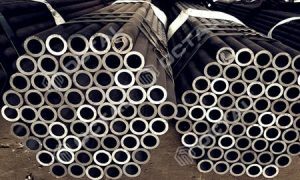 It is the most expensive form of steel as compared to any other steel. 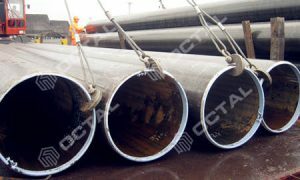 The reason why people widely use it because of its strength, resistance to corrosion and high-quality finishing across the world. We are providing laser cut sheet metal; laser cut steel, laser cut steel plate, etc. for design & architecture clients, medical industries as well as male grooming products. We can provide the customized laser cut steel as per the requirement of the clients. Laser cutting can provide a quality smooth finish. More stainless steel materials available since requested. Cutting an aluminum sheet or aluminum alloy with the help of laser can be tricky with traditional methods, but with fiber lasers, it’s quite easy to cut even 15mm thick sheet. We use the high-quality aluminum laser cutting services to provide utmost precision as well as output. 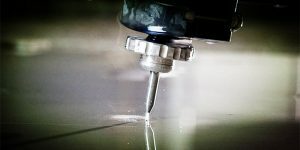 Cutting aluminum or its alloy can be tricky with traditional CO2 lasers, but fiber laser technology is an advanced alternative for the same, which faces no such issue in cutting the sheets. There are various industries which need aluminum sheets including the aircraft design firms, boat building, and construction industries. After iron, aluminum is the world’s second most widely used metal, and we are providing all sorts of customized laser cut sheet metal for the same. Why Choose us for Laser Cutting Services? We provide our services to large as well as small companies. 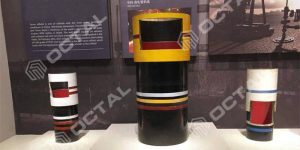 Almost every manufacturing industry including furniture, automotive, food equipment, the point of purchase displays and other heavy industrial machinery. One can count on the products we fabricate for them regarding quality. 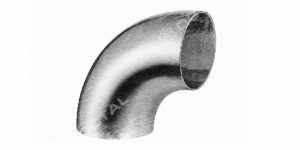 Our team of professionals is doing a great job in cutting the metals with precision and following all the requirements of the customers. 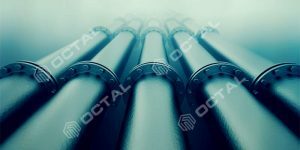 We assure you that no one else can perform the task like us, we make sure to finish the whole assigned in one go, and we maintain the consistency with all our products. We are offering our services at a very optimum price across the region. We know the market is full of manufacturers like us, but we know that no one is providing such a price for the quality of product, we are offering. You are free to research the whole market, and sure you will agree with us. Our clients are impressed with our quality and the price. The next thing which attracts more clients is our fast production time and on-time delivery. We will give you an exact time when we will be able to deliver the whole assignment as per your metal fabrication needs. We perform each and every task with transparency. Whether or not you will use our service, we will always give you the best advice for your business. In case you have any question related to your need or project completion, or anything else, you can ask us anything, anytime and we will be glad to answer the same. Once you combine all these things together, you will understand why we are so popular and why clients want to work with us. In case you need laser cut metal, laser cut sheet metal, laser cut steel, laser cut steel plate, laser cut metal panels or anything else, just contact us and will assist you in every possible way. Contact us for any laser cut metal service you want!